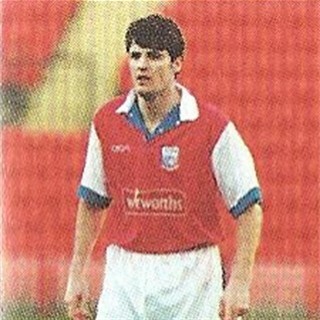 Craig was a young striker with Derby County when he arrived at Nene Park on a one month loan deal in February 1998. He had been in Derby’s youth set up, but had failed to break into the first team squad. He actually only made two appearances for Diamonds, one as a 79th minute substitute, before starting the following game, but coming off after 63 minutes. He returned back to Derby without making any further appearances and was released by the Rams without making their first team. He joined Burton Albion for the 1998/1999 season, but we have no further records for him after May 1999. He is thought to have played local football in the Derbyshire area.